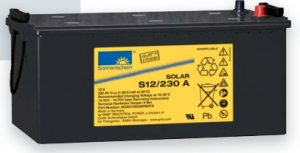 Sonnenschein SOLAR batteries are specially designed for small to medium performance requirements in leisure and consumer applications. 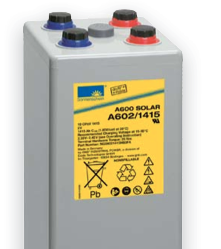 The advantages of the maintenance free VRLA-batteries are enhanced by the worldwide excel- lent reputation and technical image of the dryfit technology. 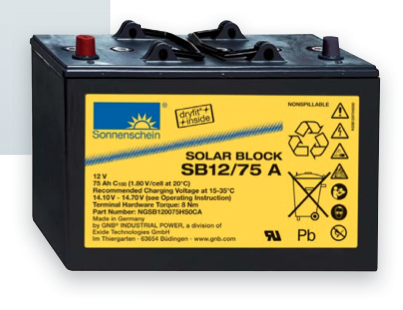 The Sonnenschein SOLAR BLOCK battery range is very powerful and reliable in rough application conditions. 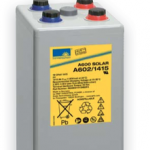 This range is the ideal energy source for medium industrial solar systems, holiday and weekend houses, wind powerstations, as well as for other safety equipment power supplies. 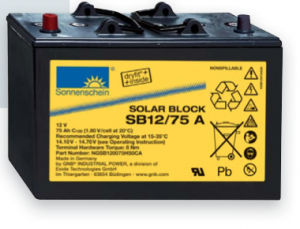 Sonnenschein A600 SOLAR is a premium range, developed specifically for applications where cycling is required. It has extraordinary energy-saving features in addition to robust reliability, proven for decades in many installations worldwide.